Maui Sunset is the perfect vacation home on Maui. Your island days can be filled with recreation and fun. Swim in Maui Sunset's beautiful pool with a shallow end for small children or just relax on a chaise lounge by the pool or in the jet spa. This lovely resort also offers two free play tennis courts, a shuffle board court, putting green, croquet, an exercise room, gas BBQ grills, etc. Shopping and restaurants are just ten minutes walking distance away. Championship golf courses within a few minutes drive. The Activity Center by pool can assist you in planning your activties or with reservations. Watch the sun rise over Haleakala Crater and set in the beautiful blue Pacific. Our beautiful 1 bedroom condo at Maui Sunset features 2 baths, the convenience of a complete kitchen, a washer & dryer in each unit, plus a large 112 square foot private lanai overlooking the gardens, pool and ocean. One bathroom has a tub and shower combination and the second has a walk-in shower. Complete kitchen includes electric stove, refrigerator, microwave, dishwasher, coffee maker, toaster, blender, etc. The kitchens have been recently renovated featuring granite counter tops. Unit is fully equipped with chinaware, glassware, silverware, pots, pans, cutlery, etc. Free internet is provided There is also cable TV, CD, DVD player and private phone. Our unit is decorated with mirrors, plants and lovely paintings by local artists. There is A/C in the living room and bedroom as well as ceiling fans. All towels and linens are provided including beach towels. Complete laundry facilities in condo includes washer, dryer, iron & ironing board. There is a hair dryer available for your use. Our 1 bedroom unit has a queen bed in the bedroom plus a queen-sized sofa hide-a-bed and a twin sized daybed in the living room. Comfortable bed and good layout for two or three people. Lots of TV channels, good internet, lovely courtyard with multiple barbecues that were cleaned each day. There were beach chairs and sand toys so it is well equipped for a family. I would stay again. I am so glad you enjoyed your stay! Thank you for being our guests. Thank you for being our guests. Just perfect in every way!! The condo was very clean and every appliance worked well. We make good use of the two beach chairs, cooler and umbrella. The bed was very comfortable and we used the air conditioning unit in the bedroom each evening. Our two week stay was wonderful!! So glad you enjoyed your stay. Thank you so much for being our guests!! Loved our stay here. Great location! Loved the condo, especially the balcony! Loved this place, will definitely stay here again. 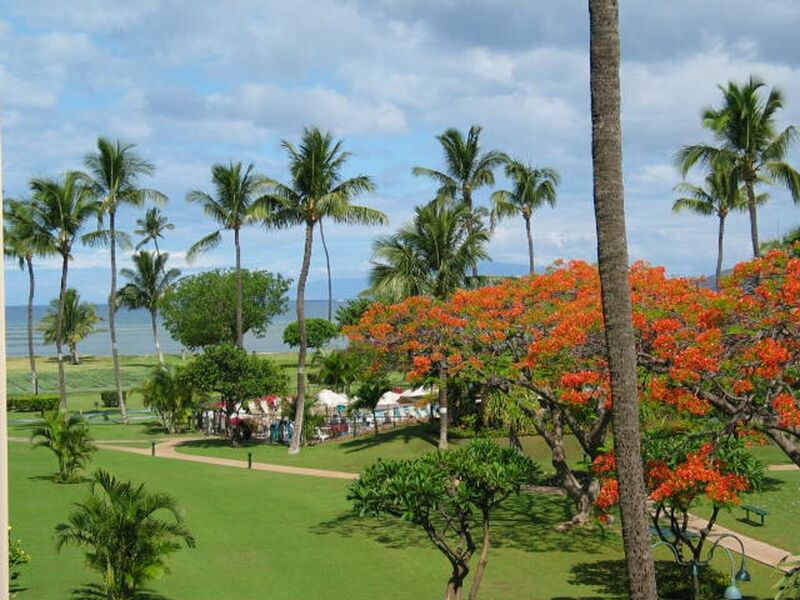 Kihei is a great location. Highly recommend you stay here! So glad you enjoyed your stay! Thank you for being our guests. Good location, nice value. Owner was quick to respond to questions. Property had probably the best maintained landscaping next to the beach of any property nearby. It made for the nicest of sunset viewing! Would stay there again. So glad you enjoyed your stay. Thank you for being our guests. This condo is in a great location, close to a somewhat private beach. Hardly anyone there, except those who live there or are staying at the condo, oh and the occasional turtle. The amenities are awesome, pool is a great temperature and the hot tub is nice after hiking or kayaking. The ladies who run the Maui Resort activities hut are great and very helpful. We had one minor issue upon arrival, but Terry quickly took care of that and we were very happy from then on. Definitely recommend this for a couple or a small family who plan to do a lot around the island. Thank you for being our guests. We would welcome you back anytime. Rates do not include 13.416% Hawaii GE/Lodging Taxes (HI Tax ID: TA-187-452-8256-01 & GE-187-452-8256-01). Additional $89 cleaning fee for stays less than 7 nights.